I was in Oxford, Mississippi a couple of weeks ago, visiting my dear friend Rita’s daughter, who is a recent Ole Miss graduate. We dined with Calli and her friend Alex at a lovely restaurant called Snackbar, where we had delicious food such as truffle/parmesan frites (yes, they were as good as they sound). Rita and I shared a bottle of wine along with whatever fish special was on the menu and although I remember that it was fabulous I don’t recall what it was. 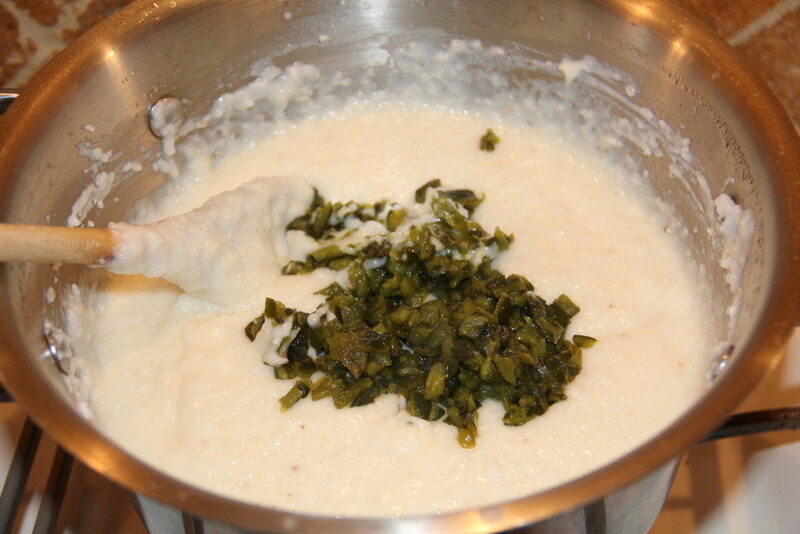 What we all did remember, however, was how utterly divine the roasted poblano cheese grits were. They were creamy with just a hint of poblano chili flavor. This is my take on the dish, inspired from the wonderful culinary creation at Snackbar. 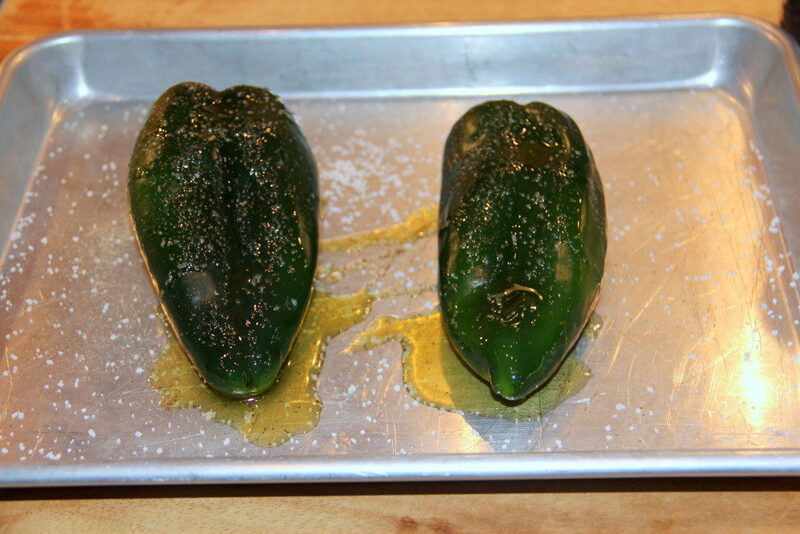 I roasted 2 poblano peppers and chopped them. While the peppers were roasting, I added 1 1/2 cups of regular grits (not quick cooking), a teaspoon of salt and 4 tablespoons of butter to 6 cups of water and brought the water to a boil, stirring frequently. Once boiling, I covered the pot and turned the heat to low. 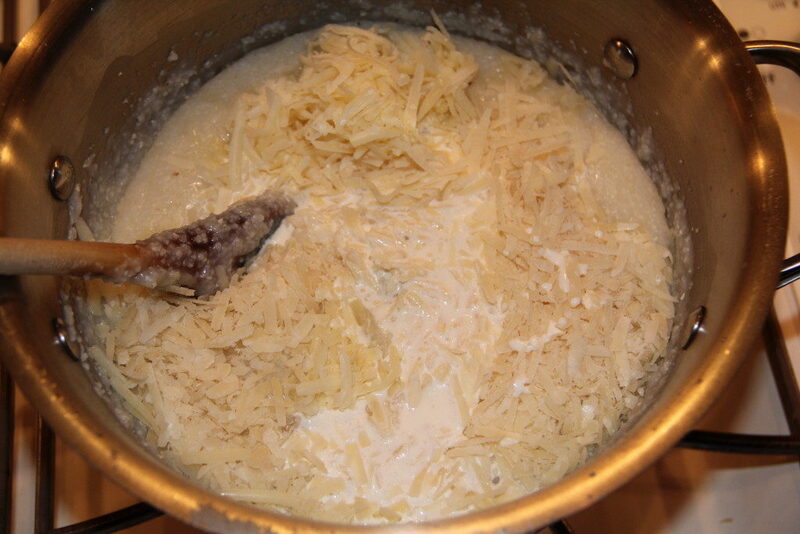 After about twenty minutes, I added 1 cup of shredded extra-sharp white cheddar cheese and 1 cup of Parmigiano-Reggiano cheese, along with 1/2 cup of cream. Just before serving, stir in the chopped peppers. 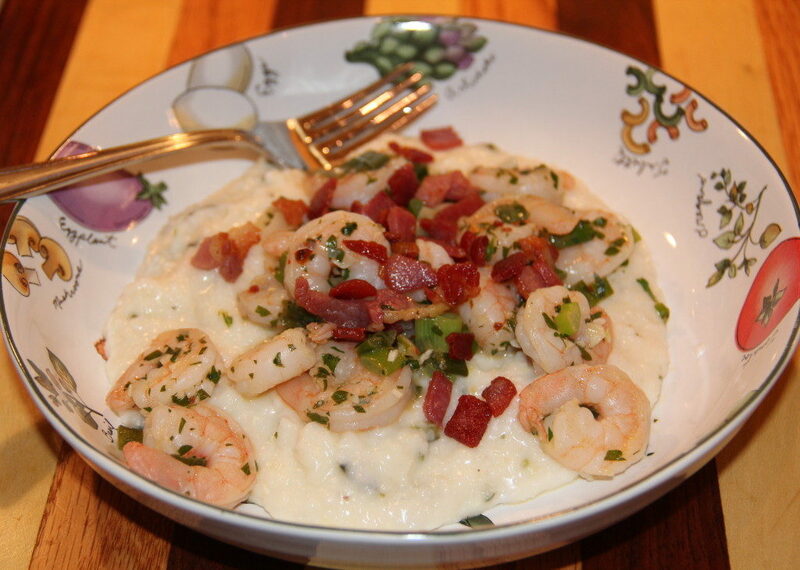 We had these grits with shrimp, and then again the next day with pork carnitas. They are creamy, cheesy and wonderful and I highly recommend them! 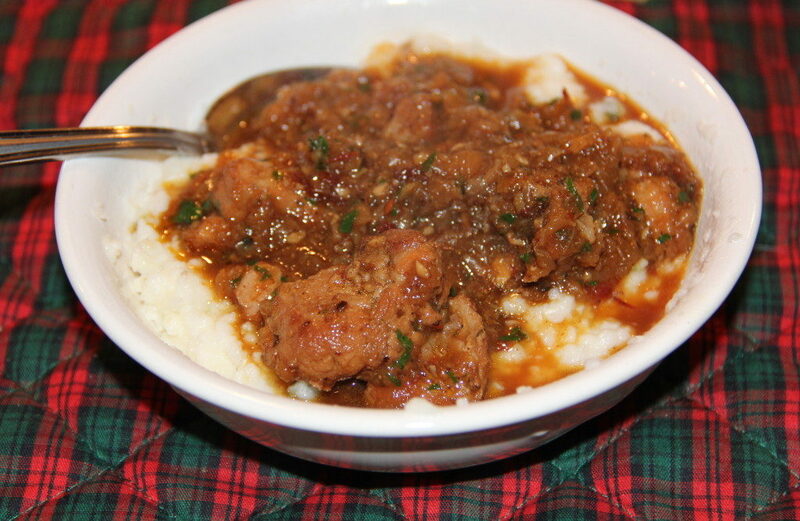 A great brunch or supper dish to serve with shrimp, pork or beef short ribs. Preheat oven to 375. Place peppers on cookie sheet and drizzle with olive oil, salt and pepper. Roast for about 20 minutes. Place peppers in a bowl and cover tightly with plastic wrap for thirty minutes. Remove plastic wrap, peel skin from peppers and dice peppers. 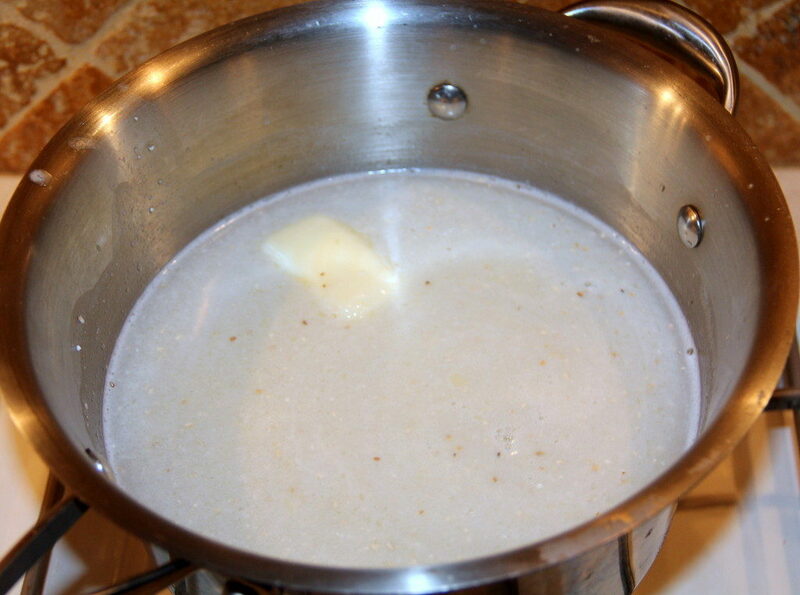 Add grits, salt, pepper and butter to 6 cups water. Bring to a boil, whisking frequently. Once boiling, turn down to low and cover, stirring frequently. After 20 minutes, add cream and both cheeses. Cook on low for 5-10 minutes then gently stir in peppers. Season to taste with additional salt and pepper. Remove from heat and serve. I made these and they were delicious I may have added a little extra cheeeeeese.